I wasn’t crazy about the Stevia Oatmeal Chocolate Chip/Raisin Cookies that I made a couple of months ago, but I didn’t want to give up on stevia just yet. 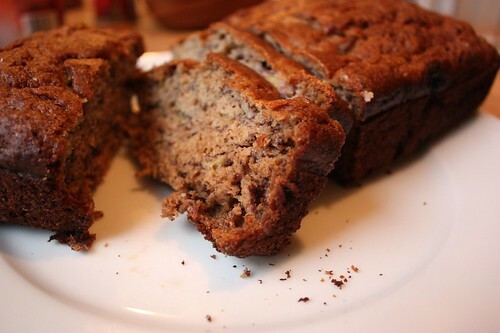 I’m a huge banana bread fan, so I decided to give this a whirl and make a nice healthy loaf with whole wheat flour. At only 100 calories a slice, low in sugar and with whole wheat flour for some fiber, its a great snack or breakfast treat. I was surprised at how moist and sweet the bread still was. The boyfriend and I loved it with a little butter, or even made into French Toast, like I did with my Whole Wheat Pumpkin Bread. 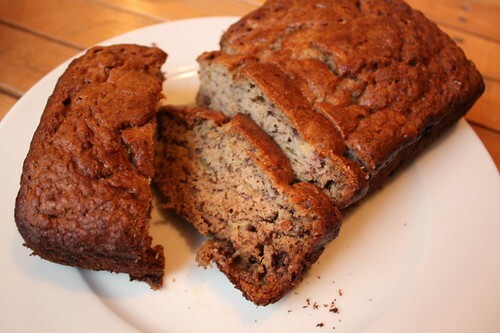 If you’re looking for a way to cut back on your sugar intake, give this recipe a try this week! 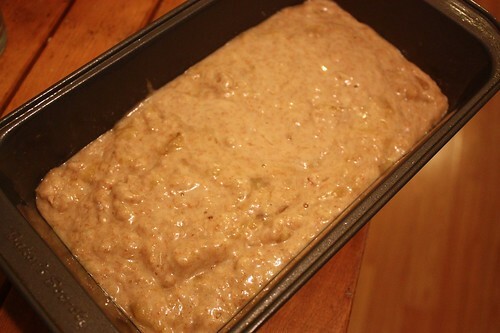 Preheat oven to 350°F and grease a 9×5 loaf pan. 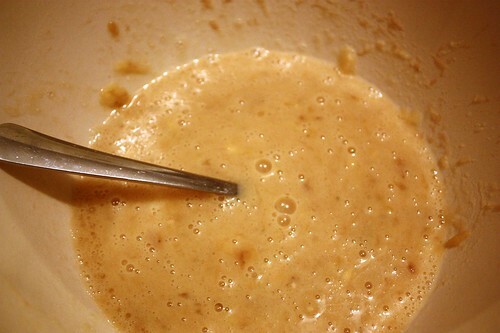 In a large bowl, mix together bananas, oil, vanilla, milk and eggs. 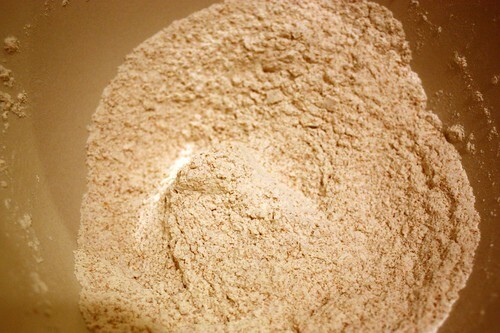 In a medium bowl, combine the flour, stevia, baking soda and salt. 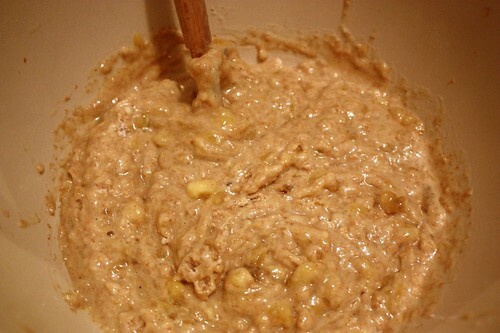 Pour into prepared pan and bake for 1 hour, or until a toothpick inserted in the center comes out clean. Let cool in the pan for a few minutes to set. Remove from pan and let cool completely on a rack. Is lowering your sugar intake one of your New Years Resolutions? Then give this recipe a go and let me know what you think! I made this last week and I can’t believe how good it is! 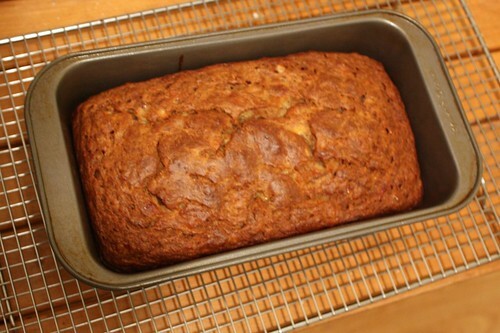 It makes such a great breakfast – so low in sugar and you can’t even tell it’s whole wheat! I can taste the stevia, but it doesn’t bother me that much (though I might try just a bit less next time). Thanks for sharing!